Home Places	How to Maximise Your Solo Trip Visit to Sikkim? A lot of travel bugs usually dream about planning a solo trip someday. Just imagine you are roaming in an exotic land all alone, exploring new places as per your own choices, meeting new people, and lending your ears to their fascinating tales. Yes, it’s something unique and exciting! The main motive of a solo trip is very different from isolating yourself from society. While travelling alone, you get a better opportunity to acquaint yourself with new people, there culture, lifestyle and an altogether new life. 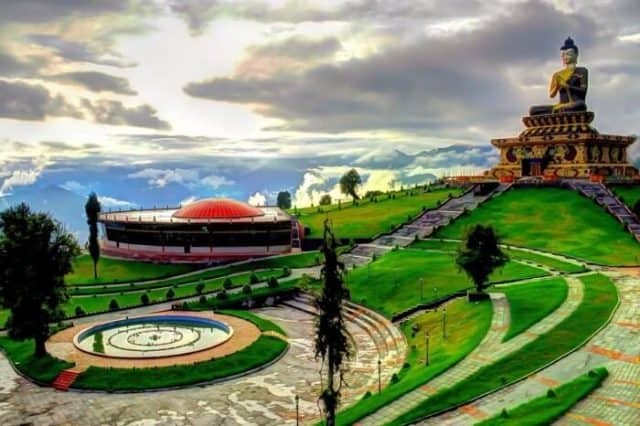 Sikkim is one of the most alluring northeast cities tucked away from the hustle of metropolitan cities with stunning landscape, wondrous mountains and natural beauty. Located in the mighty Himalayas, it’s a perfect destination for those who want to spend some serene moments away from regular life in the lap of nature. 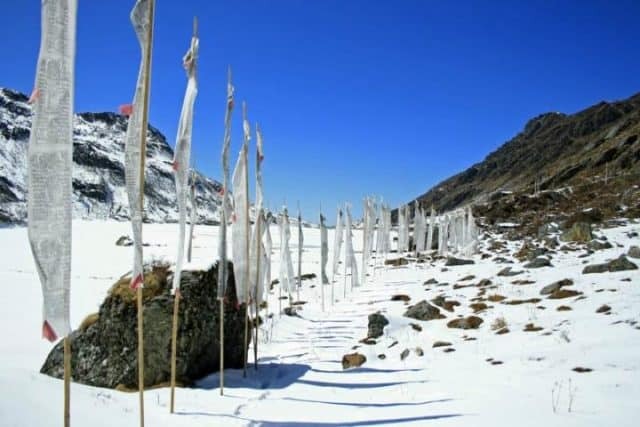 There are plenty of Sikkim tour packages available for solo visitors now days online, but people usually hesitate before selecting any package due to lack of knowledge. So, let’s cast away all your hesitation and know about few places which will make this solo trip an amazing memory for you. The best thing is you will become solo travel addict after one such trip! Gangtok is the capital of Sikkim and most important tourist destination. As a solo visitor, you can wander into the mountainous paths of this place and glue your eyes to the scenic beauty which the town offers! Spend some quality time by the side of Jhakri and Kyongnosla waterfalls and listen to the melody of cascading water. The spectacular view of the highest mountain peak of India, Kanchenjunga, will make you forget about all your worries. If you want some inner peace, then you can also visit famous Buddhist monasteries. You will find lots of colourful monasteries as this town is the centre of Buddhist learning. One gets a very different kind of satisfaction which can’t be expressed in words while becoming familiar with folks of an unknown land. You should also want to make some Sikkimese friends while strolling through the city. If yes, then Yuksom is the best place for it. You can interact with many rural folks while trekking in this historic town. It is a favourite place of trekkers as it is home to enchanting trekking trails to Himalayas and Kanchenjunga. One can see the oldest monastery of Sikkim in this rustic hamlet. Get ready to greet some wild animals during your trip to Khangchendzonga Natural Park. Capture some magical views on your camera as you visit the Tsomgo Lake which is situated 38 km away from Gangtok. Have you ever seen a frozen lake? 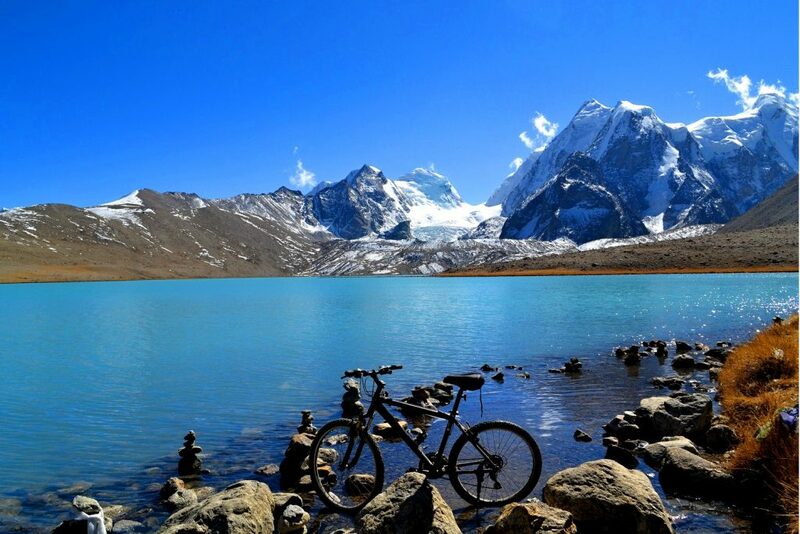 If no, then visit Tsomgo Lake during the winter season to witness its frozen form. It is one of the highest altitude lakes of India. You can ease your body and mind near the mystical panorama of this lake on your solo trip. Sikkim is a city which shares Indian borders with many other neighbouring countries. Just think how exciting it sounds to view some foreign country from the Indian border. You must not miss this chance while visiting Sikkim. One such place is Nathula Pass which connects India to Tibet. People usually come here to see the Indian and Tibetan border gates. The sky-high altitude of 4,310 m doesn’t allow people to stay at Nathula Pass for a longer duration due to lack of oxygen at higher altitude. 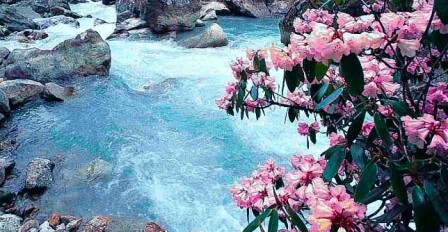 famous destination in most of the Sikkim tour packages. One can best explore this place by foot as it has an abundance of waterfalls and mesmerising scenarios to welcome the tourists. Locals of Lachung are very friendly, and they won’t mind narrating the historical stories related to this village. Listening to the Buddhist prayers at the largest Buddhist shrine, Lachung Gompa will infuse new positive energy into your body, mind and soul. Although solo travelling is a fun experience in itself, still you must keep in mind certain things while travelling alone. You must wake up early to enjoy the surreal peace amidst the natural beauty of Sikkim. Dawn enhances the beauty of all tourist places of the city. In addition to this, you will find a minimum number of visitors at this time. The days are shorter here so, try to return back to the hotel by evening. You should carry lightweight luggage as there won’t be anyone to share your burden. While travelling solo to such hilly areas, one must carry only things of necessity and two-three pairs of clothes to avoid getting extra tired. You must try the local food of Sikkim as per your taste. Nobody is there to dominate your choices while you are travelling solo. Some of the famous Sikkimese food items are Thupka, momos, Sha Phaley etc. Pack all your important medicines while travelling solo as you have to take care of yourself on the solo trip. You can’t afford to waste your exploration time by being sick. Don’t forget to keep some first aid material with you. Click lots of selfies as you would love to flaunt your solo trip images along with spicy travel stories to your loved ones. You will find plenty of picture-perfect destinations in Sikkim to fill your phone’s memory. Your safety is totally up to you while travelling alone. Be vigilant about your belongings and use electronic ways of finding paths and destinations. Yes, you can take help of locals but trust yourself more than anyone else. So, choose your tour package carefully and get ready to embark on the most thrilling journey of your life!